Fun & Inspiration Why you should keep your child away from phones? 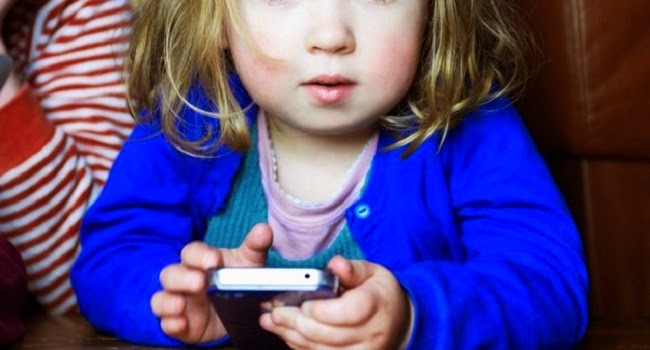 Why you should keep your child away from phones? Now a day’s children are addicted to mobile phones, laptops and tablets. Excessive use of these technological instruments will Damage the Childhood Development as well as it will negatively impact on their studies too. Children are missing importance social cues and the capability to socialize by using iPods. In addition Children are letting take control of social lives and ability to socialize face-to-face is decreasing. As a result of using technological instruments One-quarter of Canadians aged two to 17 are overweight or obese. In USA More than one third of children and adolescents were overweight or obese. Children are addicted to video games. Therefore they will experience the lack of sleep. In addition technology will diminish the concentration and mental well being of children. Advancement of technological instruments will destroy the relationship between parents and children. Under this condition children get more addicted to technological instruments. According to www.mayoclinic.org the primary concern with cell phones and cancer seems to be the development of brain tumors associated with cell phone use. Cell phone radiation is a cancer-causing agent (carcinogenic). As a result, the group classified radiofrequency electromagnetic fields as possibly carcinogenic to people.